Welcome to the first ever Hooked On People Interview! Today we have Sisley Killam from The Pure Life. 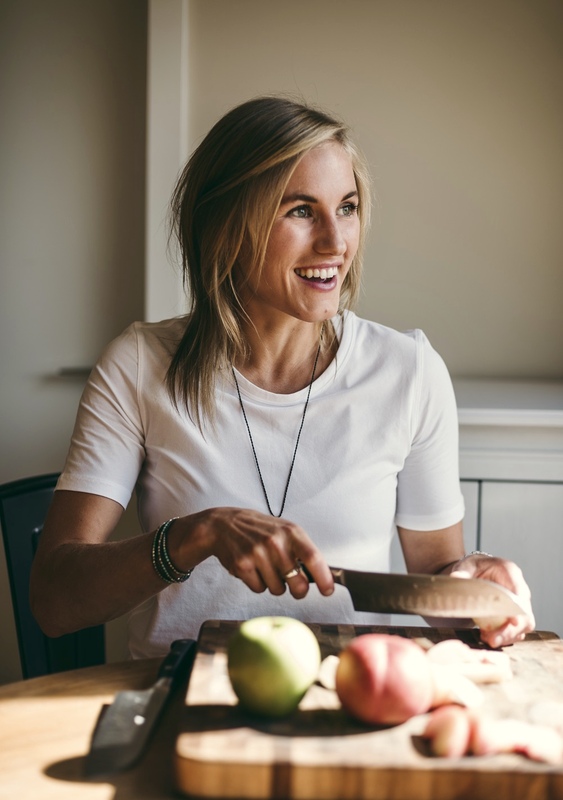 She is a fellow Registered Holistic Nutritionist, and is all about ‘empowering women through delicious plant-based foods and healthy, mindful living.’ Her and I met at Dana’s (The Minimalist Baker) book signing in Vancouver, and hit it off right away. 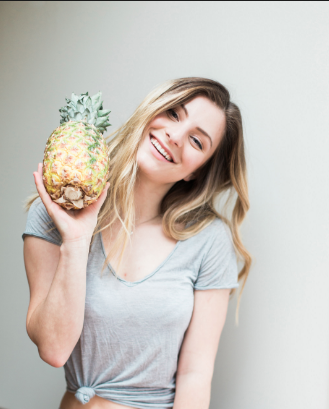 She’s carries with her a great energy, she’s an inspiration to me as a blogger, and a cutie in the kitchen making positive changes in the holistic wellness world. 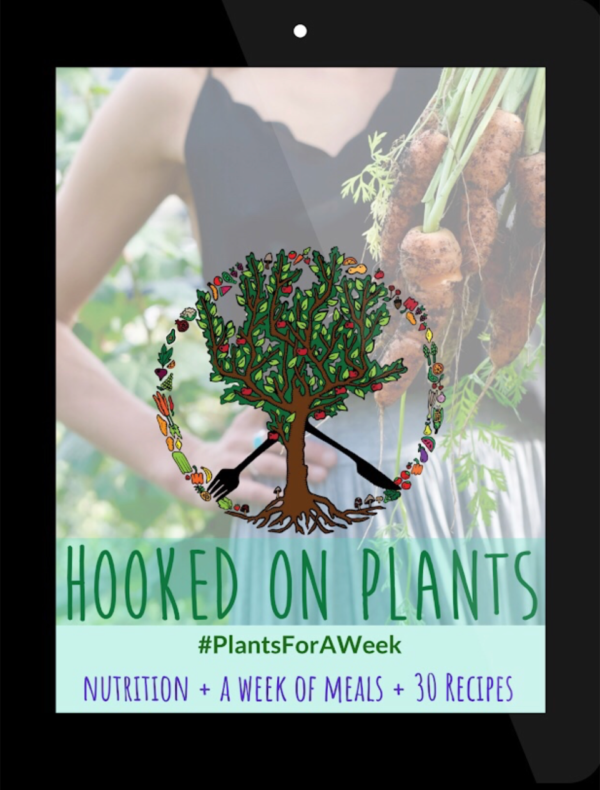 It’s all about getting hooked on plants, and Sisley is making that easy for people with her beautiful blog and delicious recipes. Why did you start The Pure Life? I started my Instagram account when I was transitioning into healthier eating. 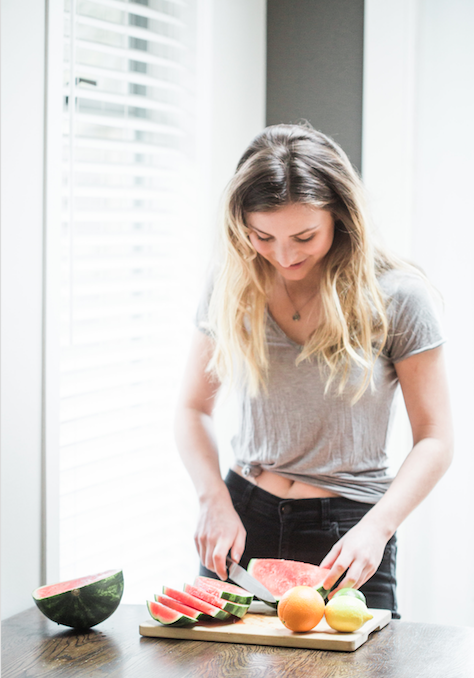 It was a way for me to keep track of the fun recipes I was creating and to connect with like-minded teens who were going through the same things as me. I launched the blog in late 2015 to share more extensive posts and my love for food and knowledge of nutrition! 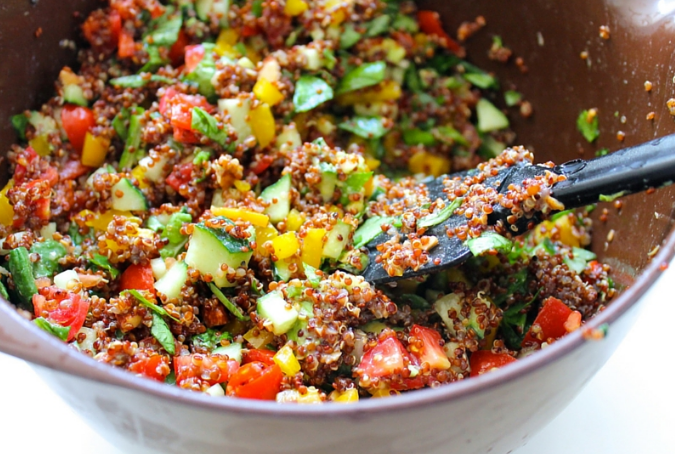 When and why did you start eating a plant-based diet? 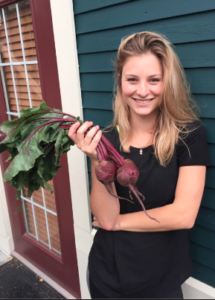 When I was 17, I began struggling with severe digestive issues. After months of tests, surgery and pills I was pretty fed up. I began analyzing my diet, which foods made me feel good and which didn’t. I slowly (and I mean very slowly) cut out gluten, dairy and refined sugar. I was forced to become experimental in the kitchen due to a lack of alternatives in the grocery store. I found inspiration from The Whole Pantry App and the Deliciously Ella blog and simply fell in love with healthy cooking. I was very experimental with different diets, raw vegan, low fat, high fat, high carbohydrate, etc. etc. but finally found a diet that works for me, which is plant-based! I am forever changing and evolving and love that about the health & food industry. What are your top 3 blogging tips? 1) Be authentic, be yourself. 2) Engage with your online and offline community. Talk to your readers and connect, this is why I love blogging! 3) Just do it. Blogging takes time and patience, but it is such a rewarding job. 1) Use natural lighting! I love shooting my food outside in the shade on a sunny day. Such a beautiful combination. 2) Learn how to use your camera. I use a super basic camera that I have recently learned how to properly use. Once you learn how to use your camera’s functions, you will be snapping professional looking photos in no time. But I have noticed the new iPhone 7 is also incredible! 3) For food, styling is really important to me. Use fresh ingredients like herbs and greens as a prop, or old rusted pans as a backdrop. Tell us one thing people may not know about you? I am half German and I speak it! I was born in Germany and have tons of family all over Europe, which is why you’ll see me over there a few times a year. Travelling is in my blood. Plus, the food *drools*. 2) Chop up veggies and keep them in glass Tupperware with about an inch of cold water – this keeps them crisp and fresh in the fridge and easy to grab! 3) Get creative. Try a new vegetable every time you go grocery shopping. This week for me is bok choy – yum! What are you working on right now that we can look forward to? Setting up my 1 on 1 Nutritional Consulting and working on packages and programs for everybody! I am so excited about this as it has been something my readers have been requesting for years. 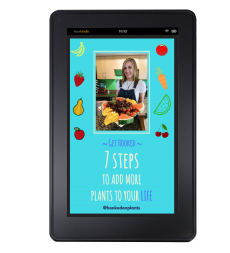 When I first started blogging, I used to write up meal plans and personalized recipes for my friends all the time. Now I get to do this for a living – it’s incredible! I also just became an ambassador for SPUD, which I couldn’t be more excited about. So stay tuned for lots of fun things with that! What is your favourite recipe right now? Oh man, I have to pick just one? 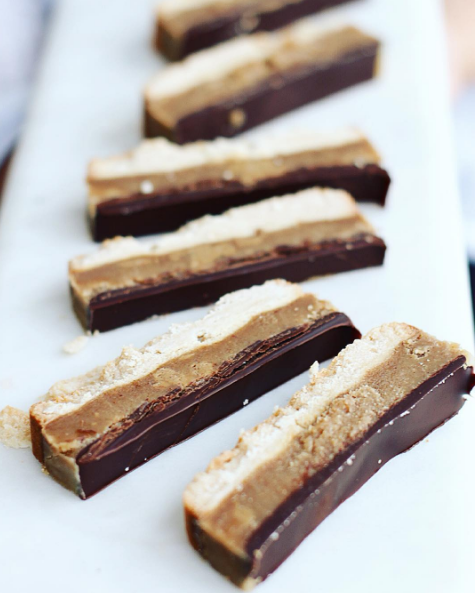 Well I made these Vegan Salted Caramel Slices the other day and we devoured them so quickly! They are amazing! Thanks to Sisley for being first up on the Hooked On People inspiring interview series!